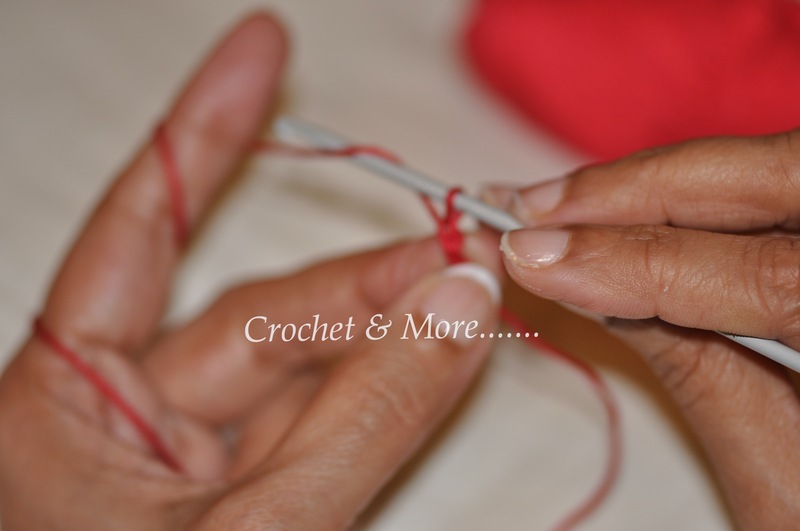 Crochet is not difficult…in fact it is one of the most easiest of crafts to learn and one of the most comforting. 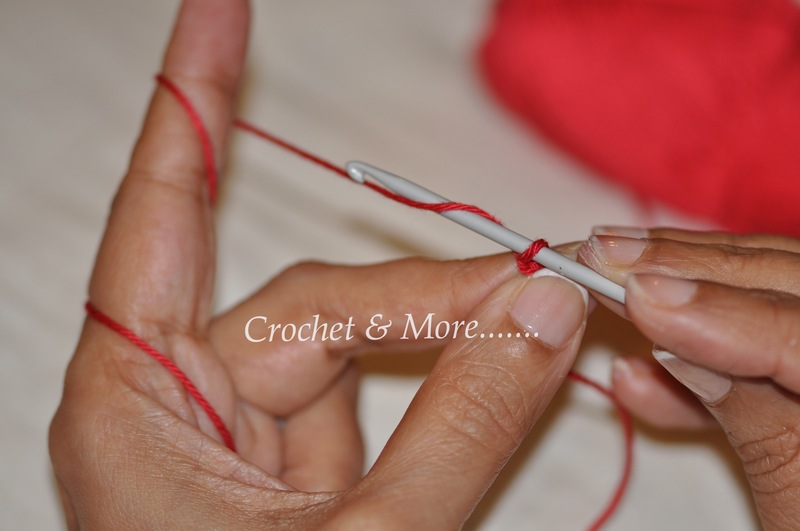 A great stress buster and unlike many other crafts doesn’t need much equipment….one hook and a ball of yarn ….and you are all set to go! 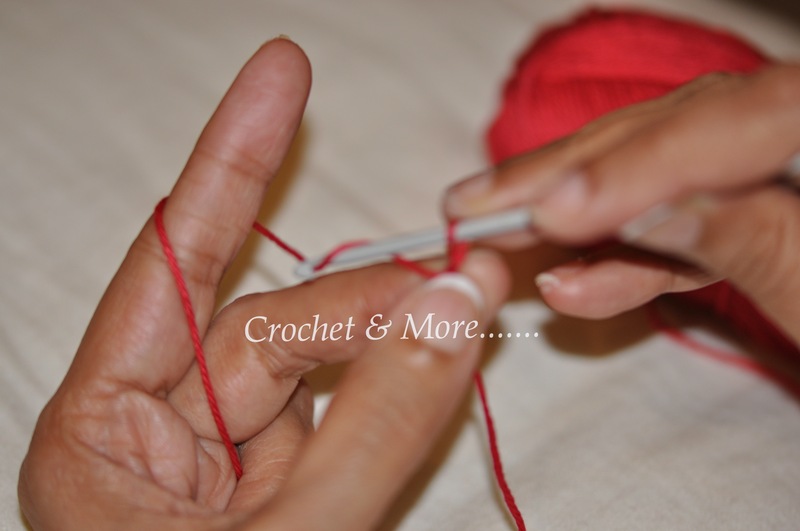 Crochet is very flexible and forgiving in that, one or 2 stitches missed or added doesn’t really matter in most patterns. 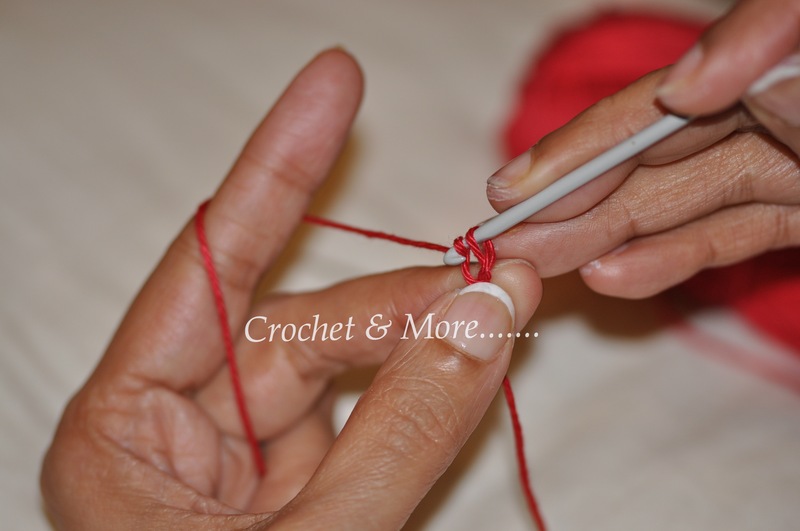 You can do crochet almost anywhere and should you make a mistake it isn’t difficult to rip it off and start all over again…..
Crochet stitches aren’t complicated….once you learn the basic chain and double crochet ….you just build on that… Here we will, be learning the eight basic stitches on which most of crochet is based on. 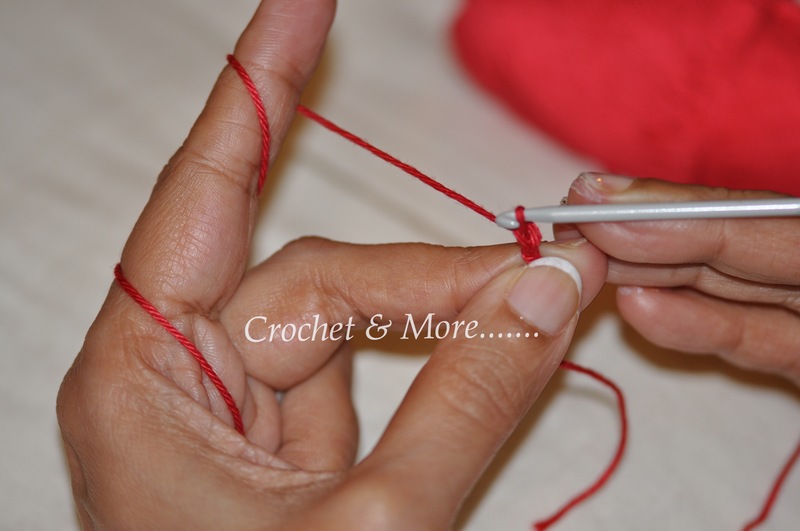 Each stitch with the exception of the basic knot is represented by a symbol. 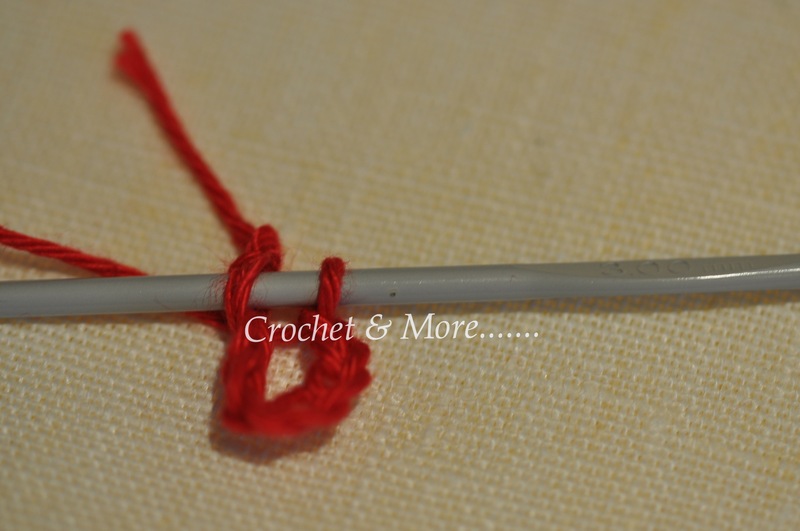 You should know these symbols and abbreviations by heart since these are your building tools in reading crochet patterns. 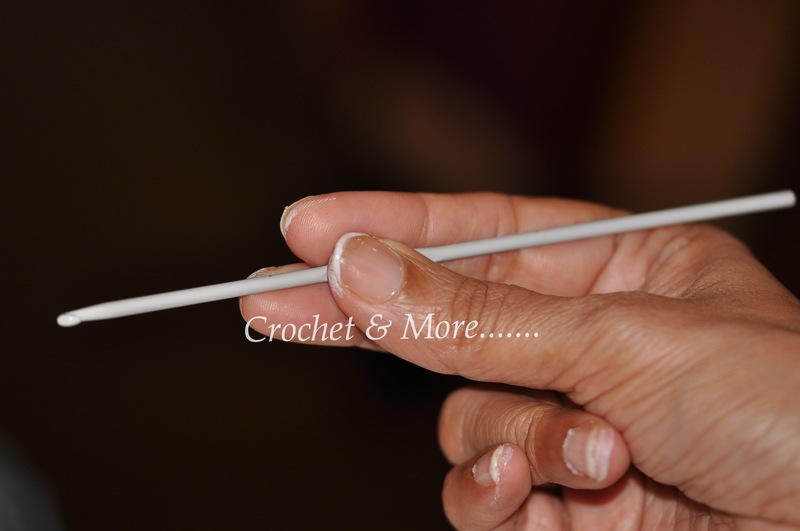 Hold your Crochet hook between ur fore finger, middle finger and thumb gripping the hook at it’s flattest surface. 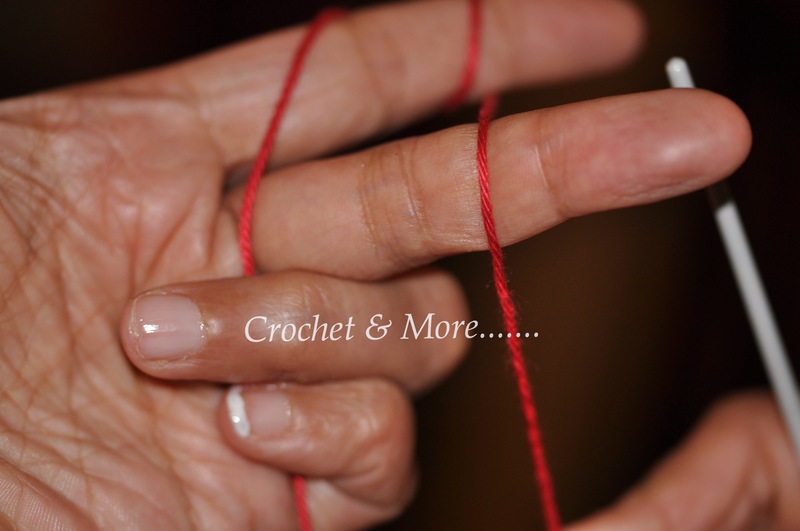 Do not hold the hook too tight or too loose….just firm enough for it to work for you. The main thing is to be relaxed. 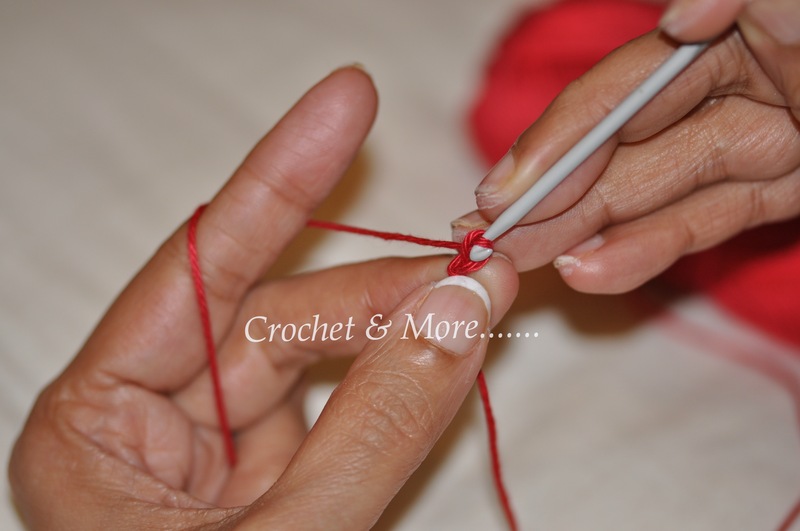 There are many ways to hold yarn while crocheting. 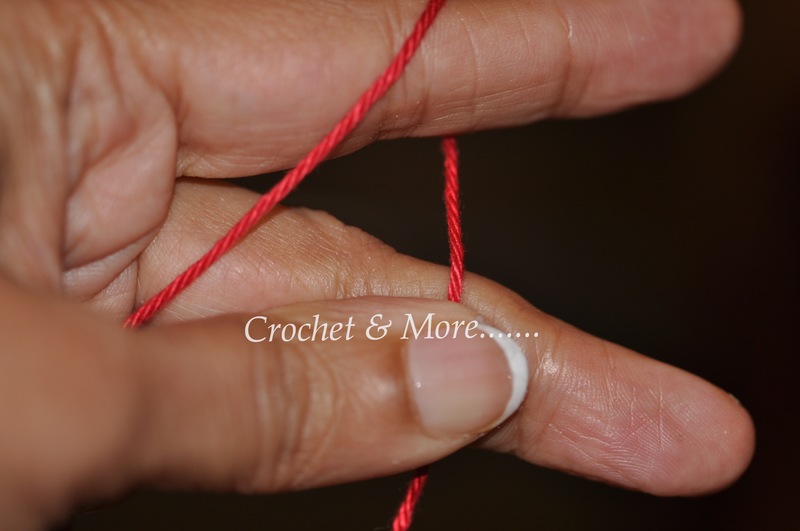 This is the way I hold yarn while making the basic knot and it works for me. Google as many ways as you can find and choose the way you think works for you. Hold the open end of your palm in front of you facing you. 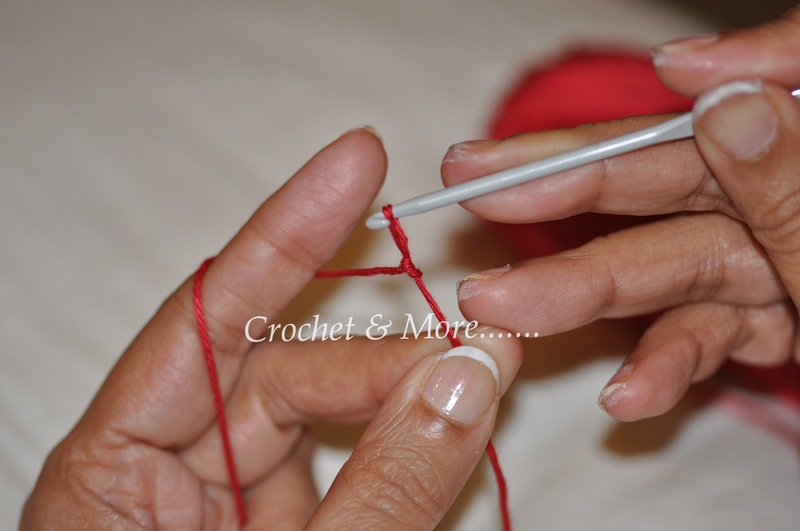 Place the tail end of the yarn over the palm and wrap that end over ur fore finger. 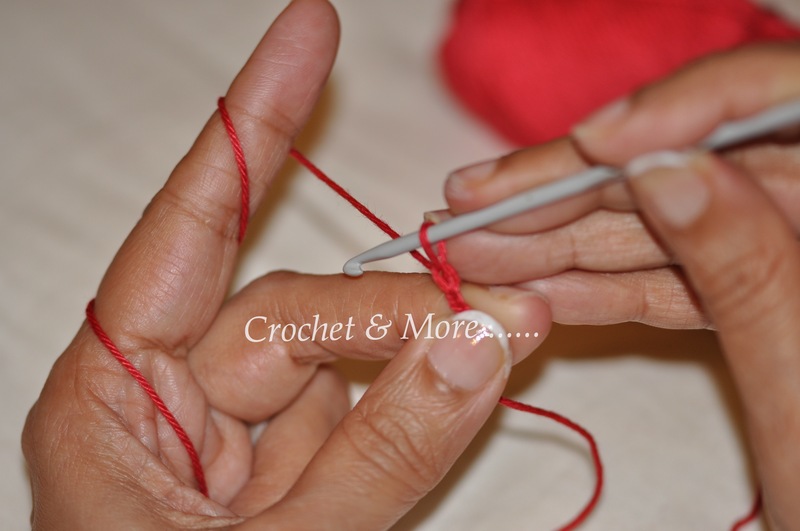 Then bring the tail end of the yarn over the other three fingers and grip the tail end between your ring finger, little finger and thumb. Hold it firmly….not too tight or too loose. 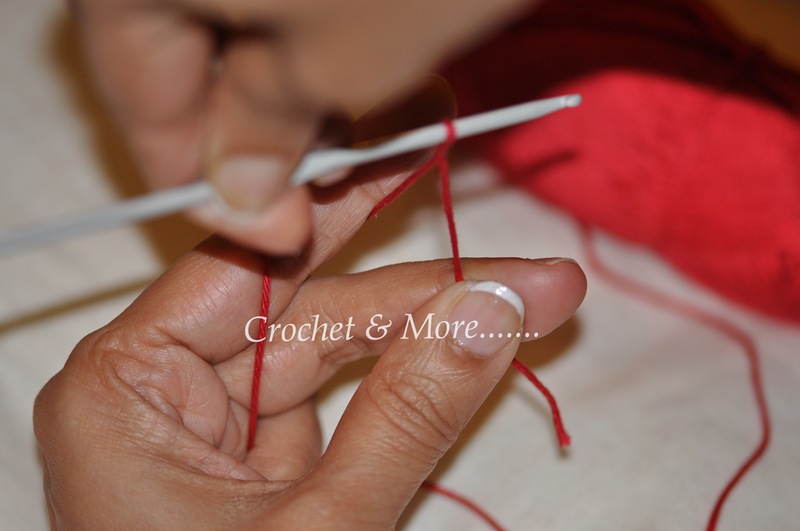 This is where you get the yarn tension right. 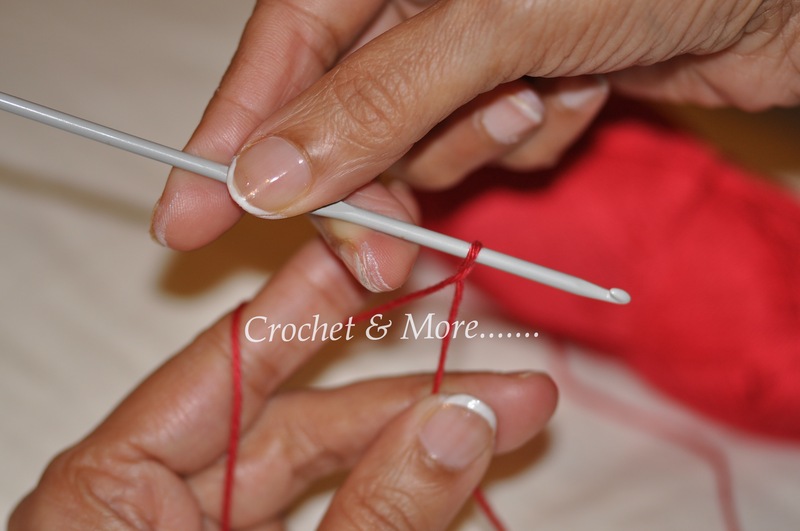 Yarn tension is how tight or how loose you crochet and it differs from person to person. 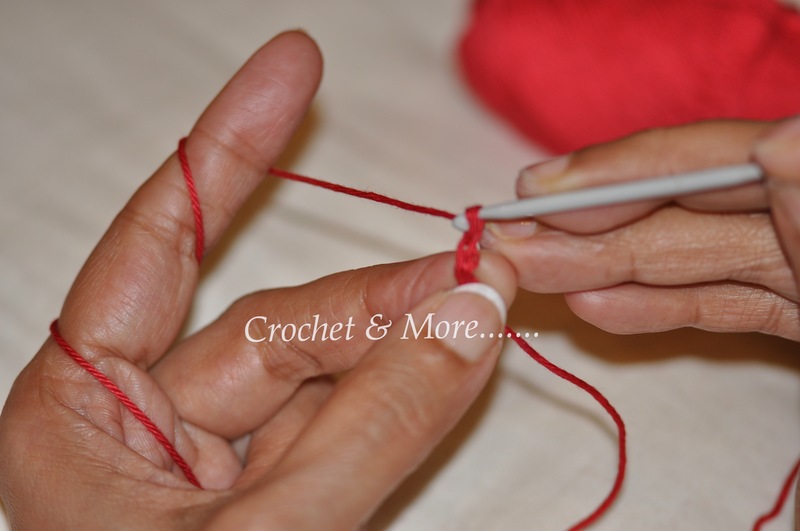 It is better to hold your yarn just right so that all your stitches are even. Don’t worry if you can’t do it right the first few times…this comes with practice. Stick to it and you will master it soon enough. Don’t compare your pace with anybody else’s. 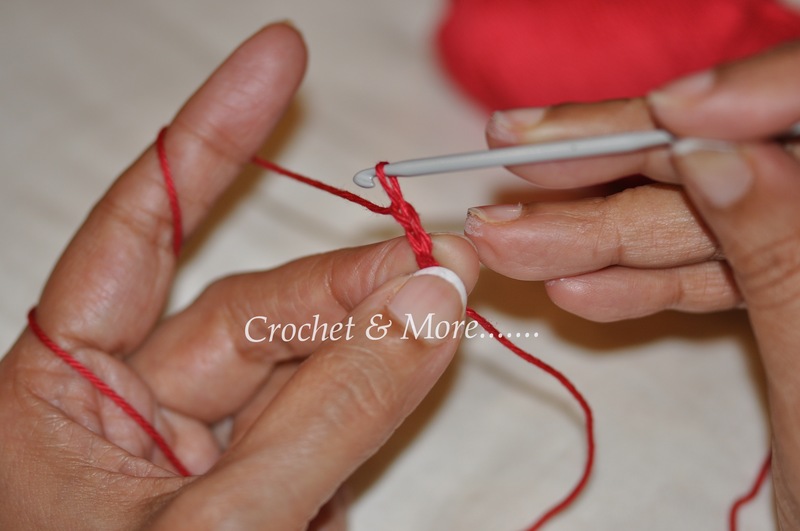 Each person is different and mastering a crochet stitch fast or slow doesn’t make or break you…You are, and will always be that special edition that God created with love. 1. 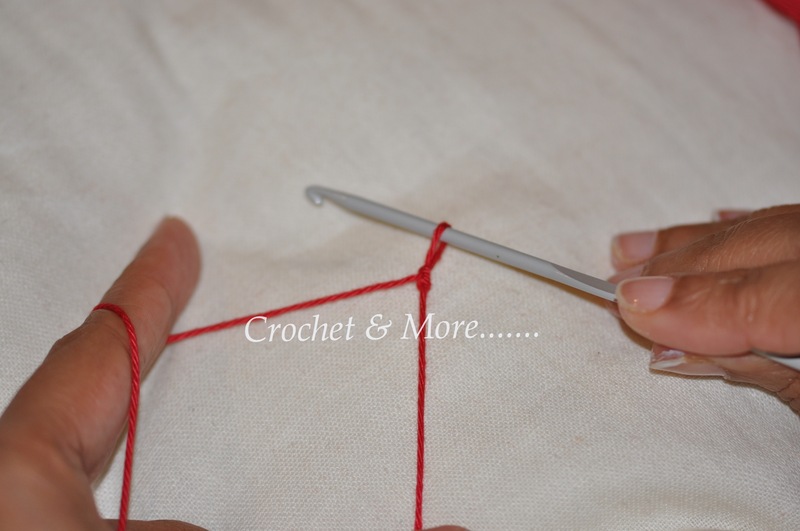 Basic knot: The basic knot is the first knot you make to build that foundation chain. It is easy to do…..but needs a bit of practice. 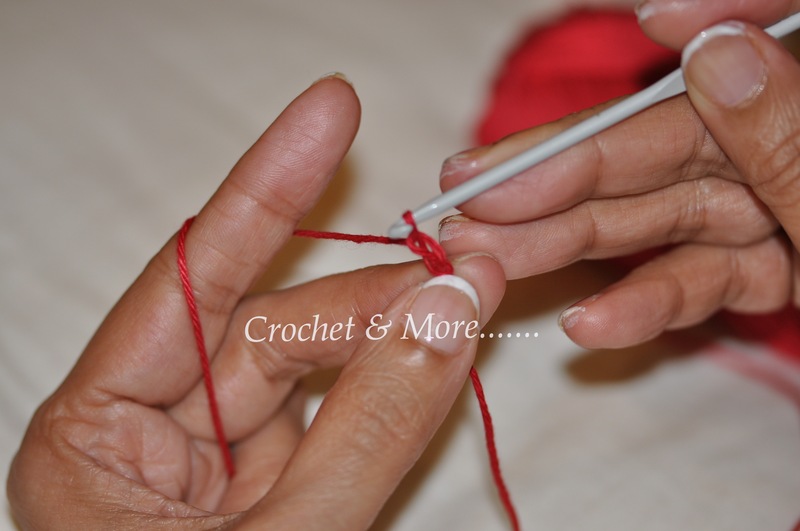 Push your hook under the yarn which is held between your fore finger and your middle finger. Lift the hook up so that it brings the yarn over(yo) it up as well. 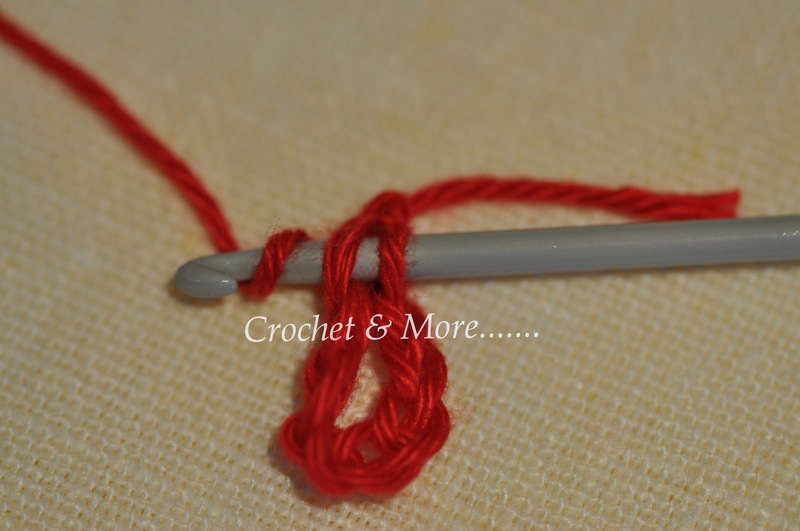 Yarn over is an important tern used in crochet. 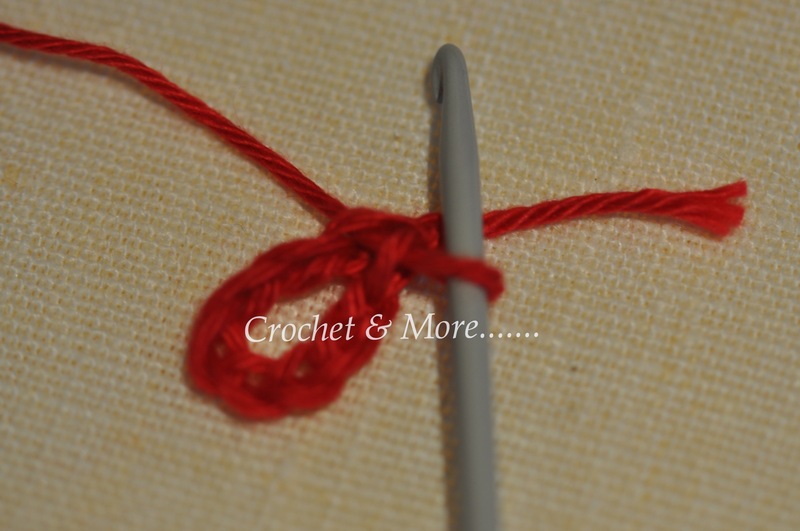 It amply means to wrap the yarn over the hook. And the abbreviation used is (yo). 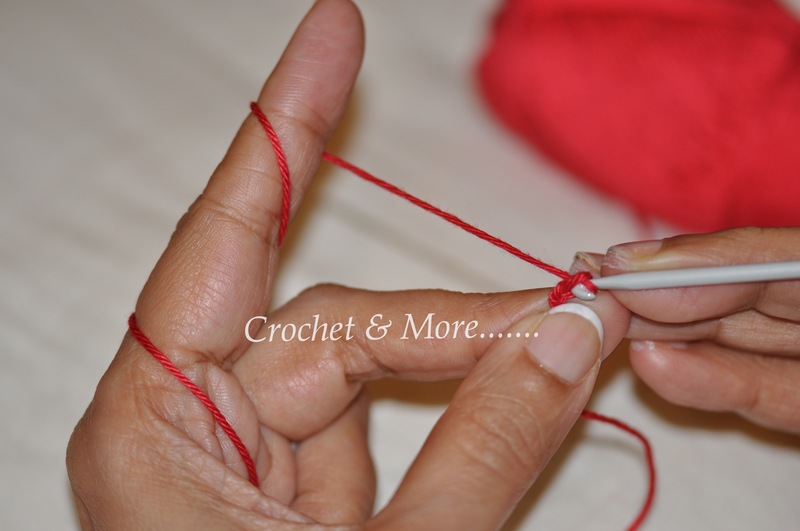 Now twist the hook around along with the yarn to 360 degree circle so that a loop is formed. 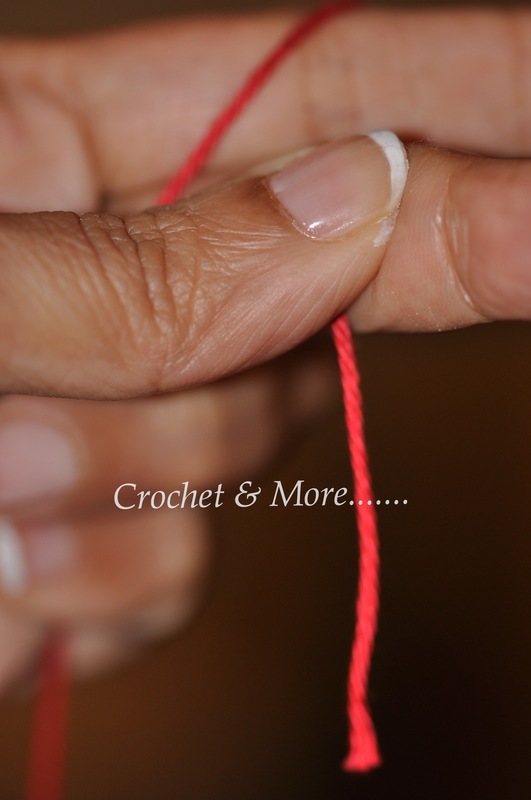 Then yarn over and hook in the yarn through the loop . A knot is formed at the base of the loop. 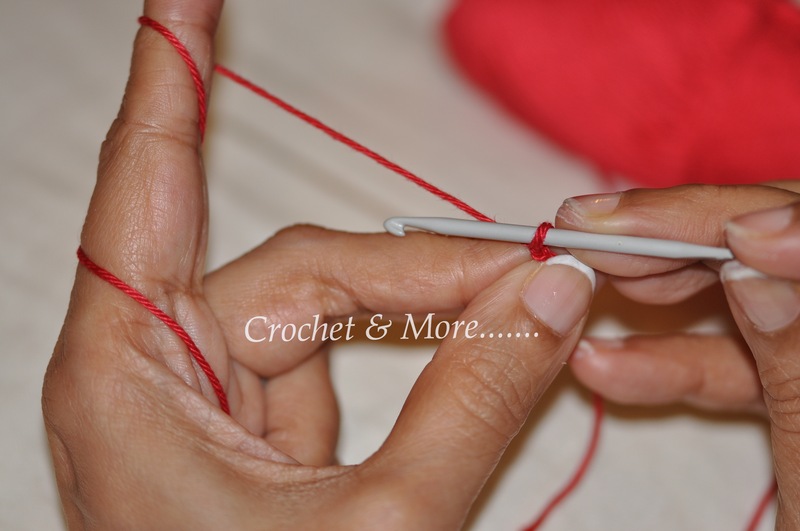 You can increase or decrease the size of the loop by pulling the main end of the yarn. . . 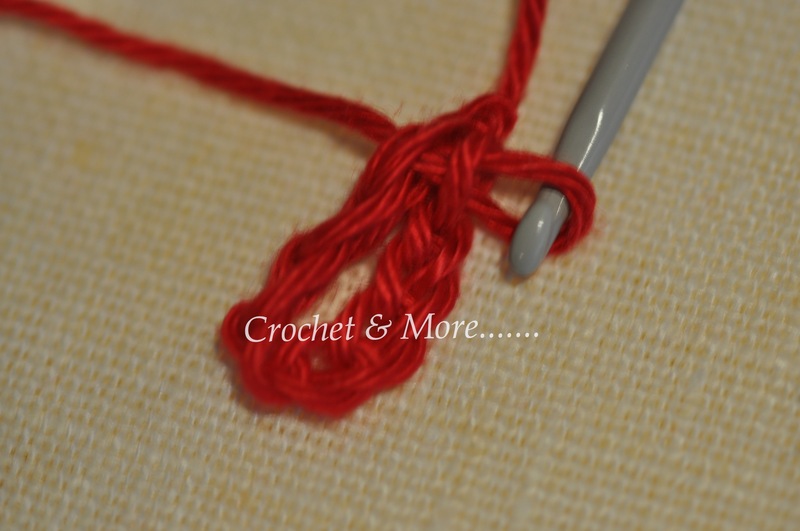 There you are ….the Basic Knot. 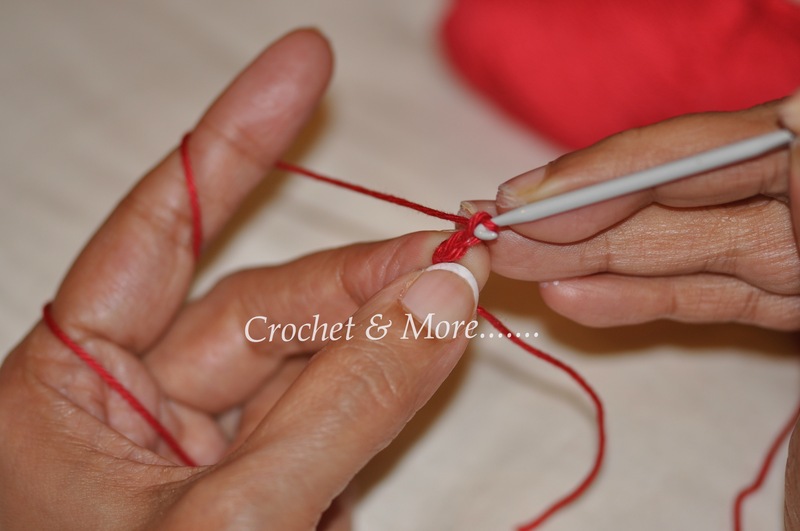 Chain stitch forms the foundation to most crochet projects. 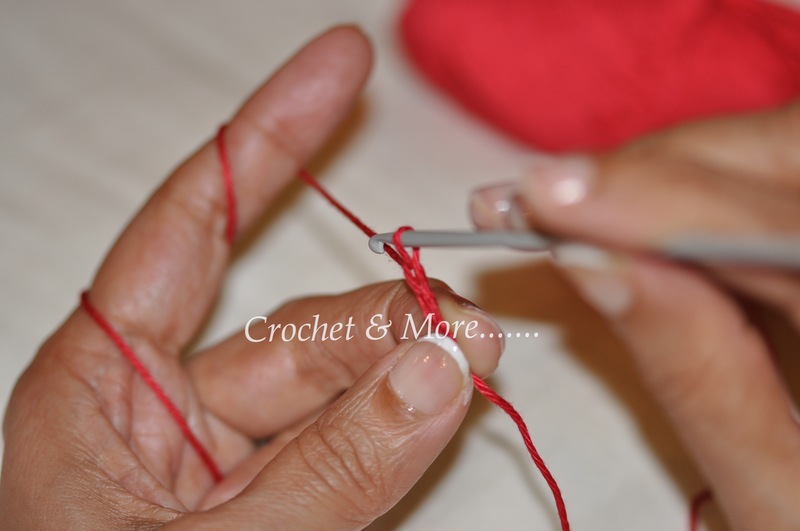 Again hold your yarn taut….but not too tight or loose. 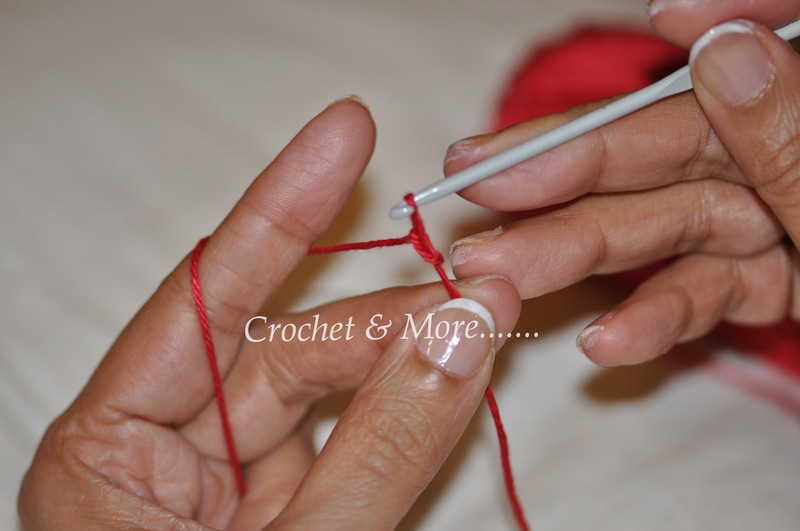 Push the hook under the yarn ..Yarn over. Hook the yarn. 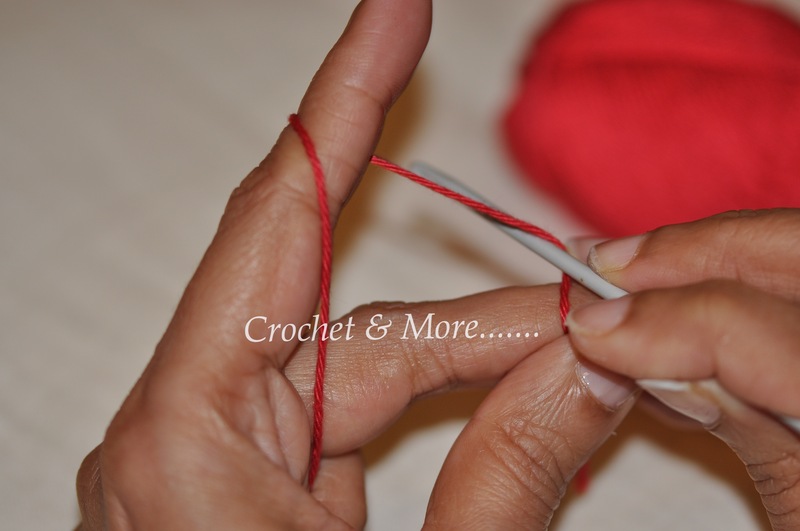 Pull the yarn with the hook thru the basic knot…. And your first chain is formed. 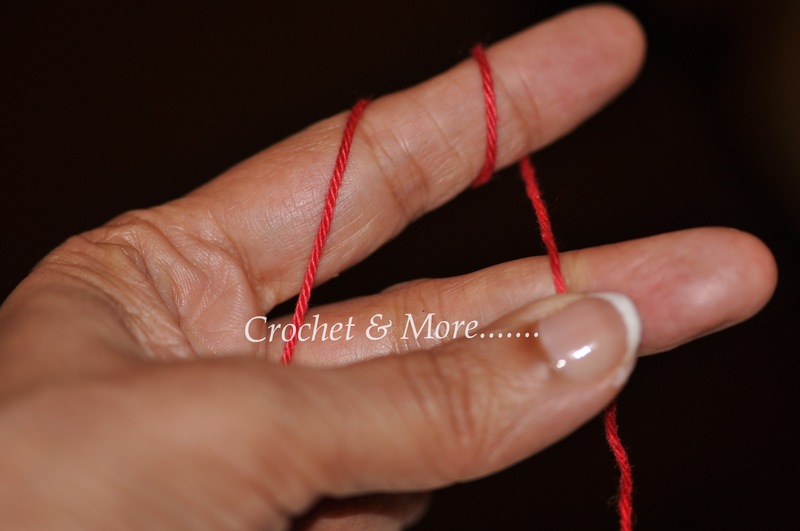 Push, yarn over, Pull thru the previous chain…..
A string of chains…… . 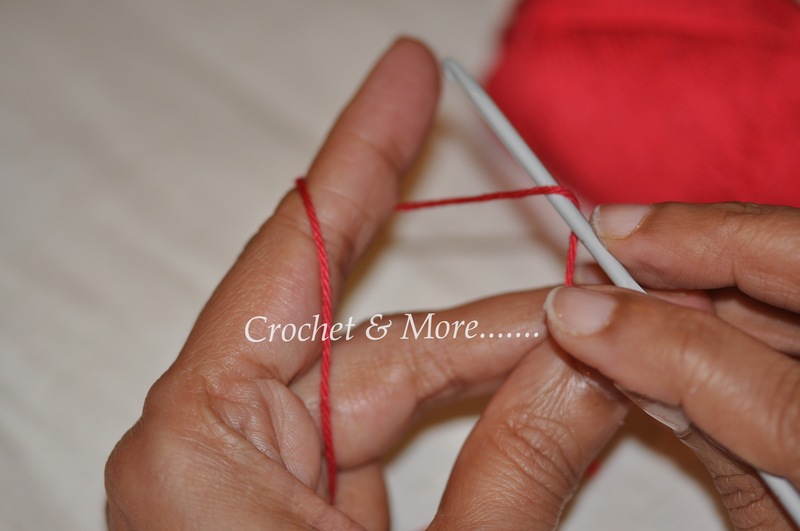 Slip Stitches are used to join pieces of crochet together, to end a project, to make the rim of a bag, basket etc, to shape a neckline, arm hole, or any thing really. 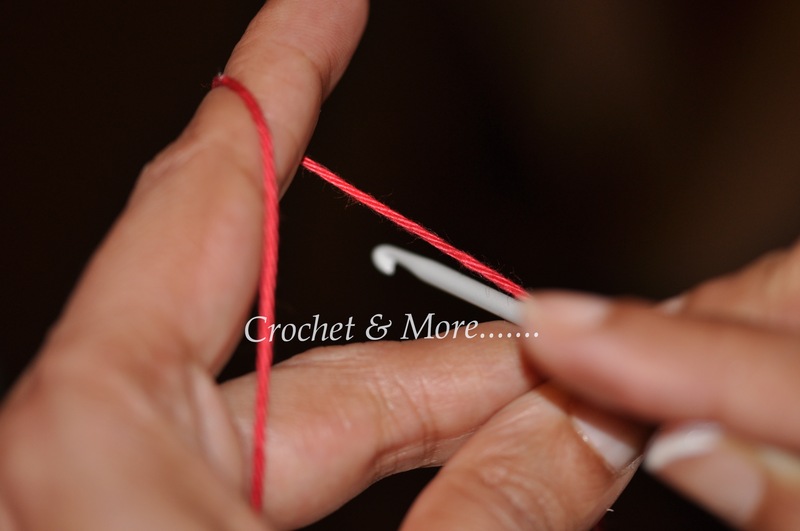 It is a very versatile tool to have in your crochet kitty. 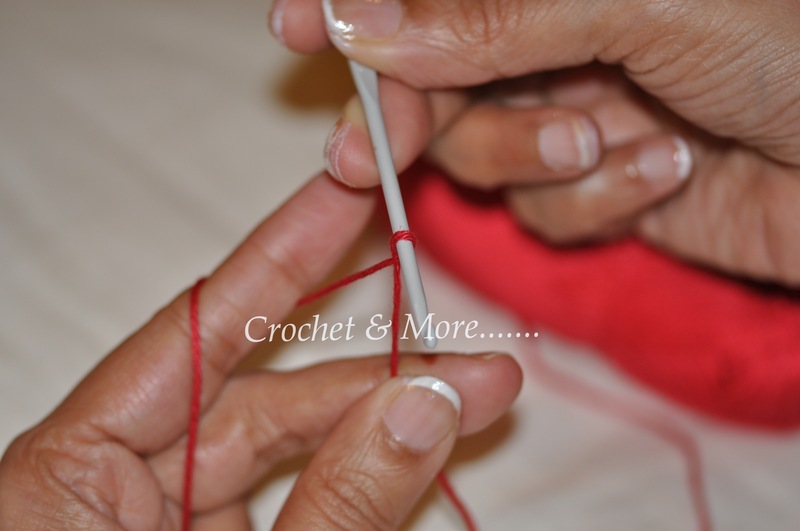 Slip Stitch is done by increasing the loops on your hook by two and then pulling the yarn through both the loops thus decreasing loop on the hook back to one. 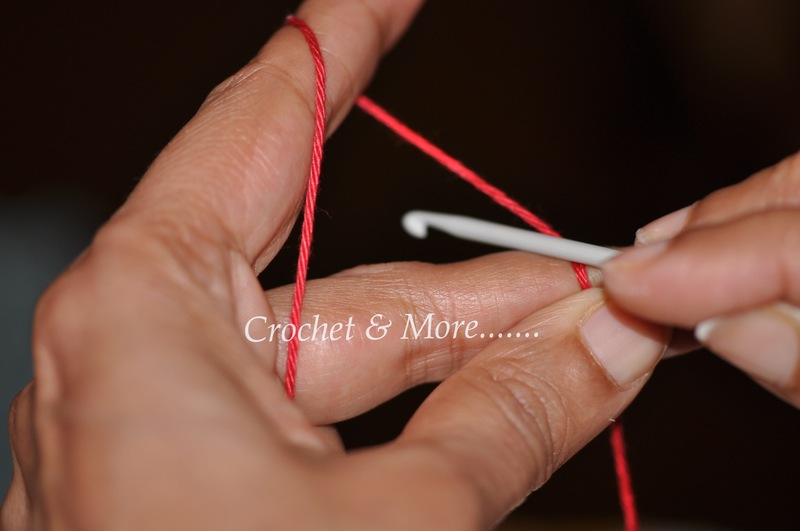 That’s it slip stitch…..and you now have a crochet ring. This is a video tutorial that I made…it’s a very rough version…cos it’s the first time I have done anything like this….I need to edit this….but have yet to learn that….I will be doing so once I climb that mountain. 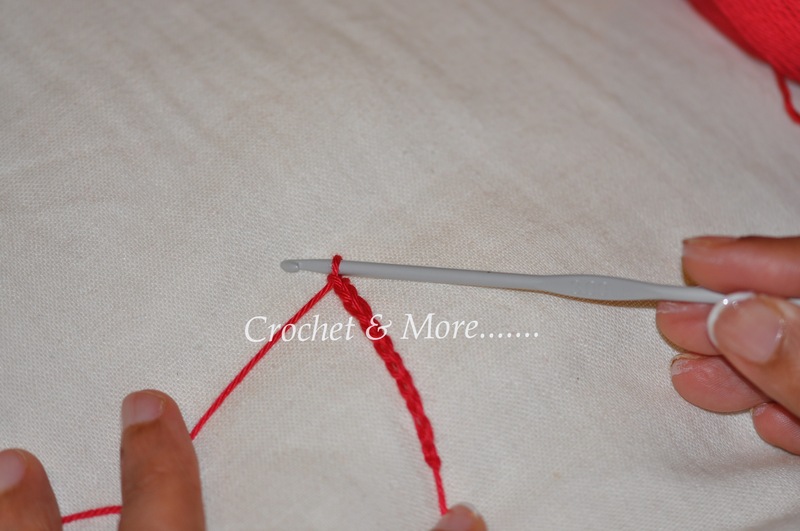 This can also be used as a base to make a crochet circle. 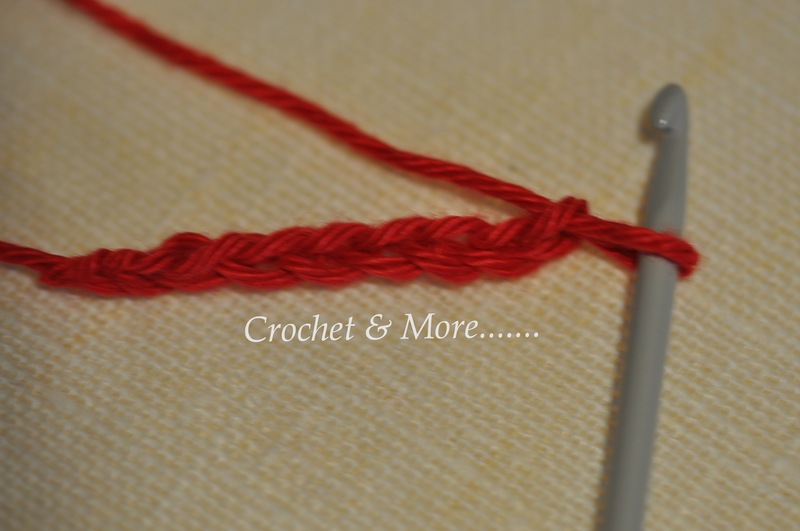 That’s your 3 stitches for now….Practice these well…until you get a string of even chains. 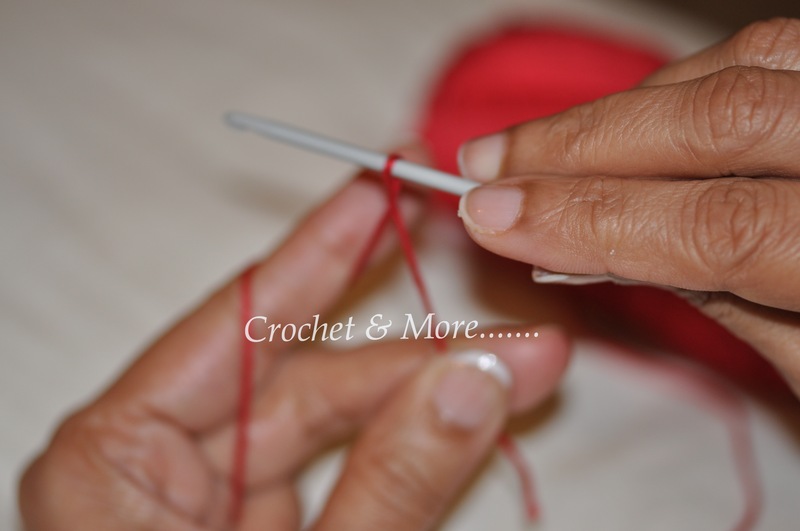 My next post will be on 3 other stitches…..Single Crochet, Half double crochet and Double Crochet .